This exhibition showcases 80 works from 16 artists. The paintings are priced between US$50-500. 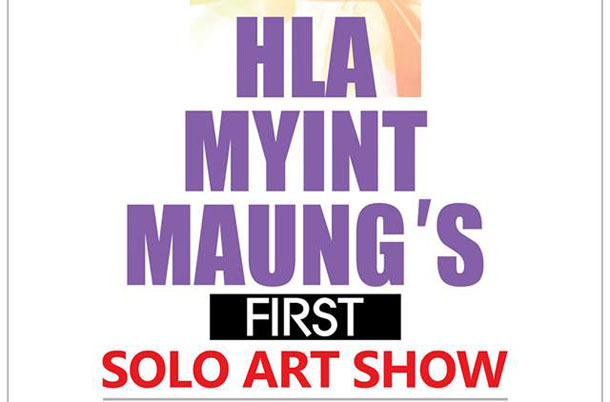 Hla Myint Maung will showcase his debut solo show at Gallery 65. It will include 34 paintings selling for US$350-700. Where: Gallery 65, No. 65, Yaw Min Gyi Street, Dagon Tsp. 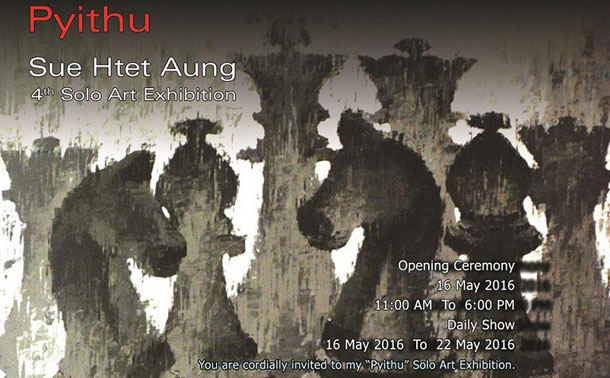 Sue Htet Aung showcases his fourth solo show, called ‘Pyithu.’ It includes 13 paintings with prices between US$400-2,000. Think Gallery features 43 works from three artists with prices between US$150 and US$1,000. Where: Think Gallery, No.23, Nawaday Street, Dagon Tsp. 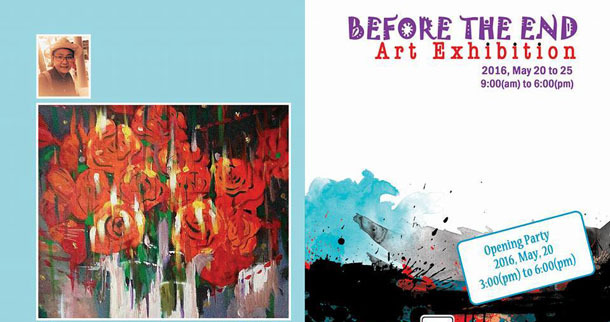 Paloke Toke Journal has organized its sixth children’s painting show. 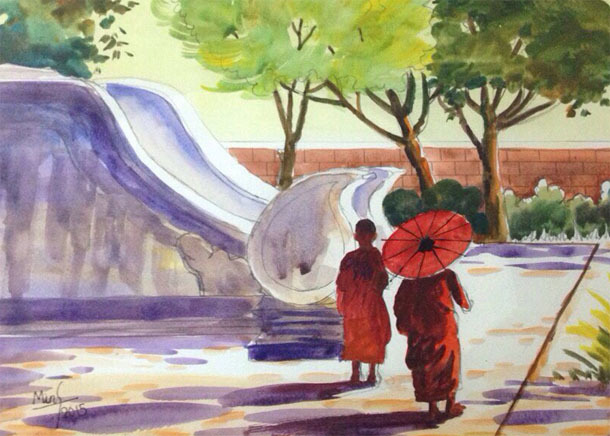 Lokanat Gallery will showcase 200 paintings for sale from young amateur artists. 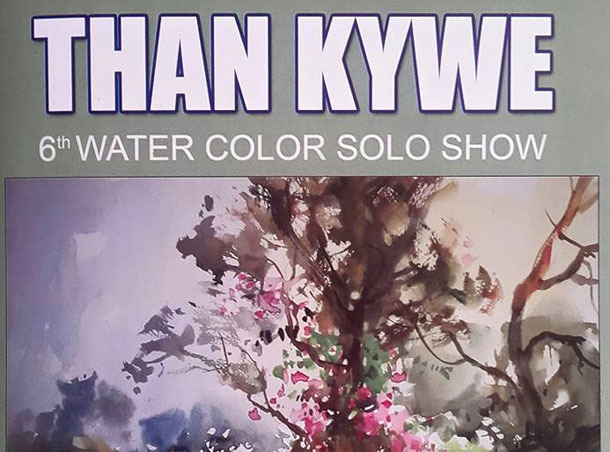 Than Kywe will hold his sixth watercolor solo exhibition at Ayeyarwon Art Gallery. 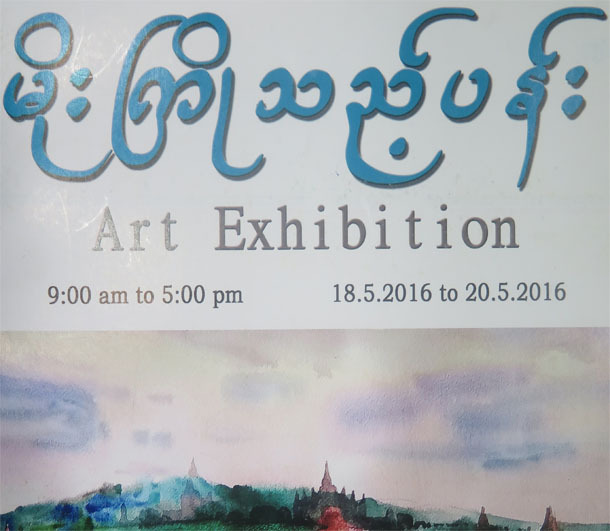 It will include 50 paintings with prices ranging from 150,000 to 250,000 kyats. 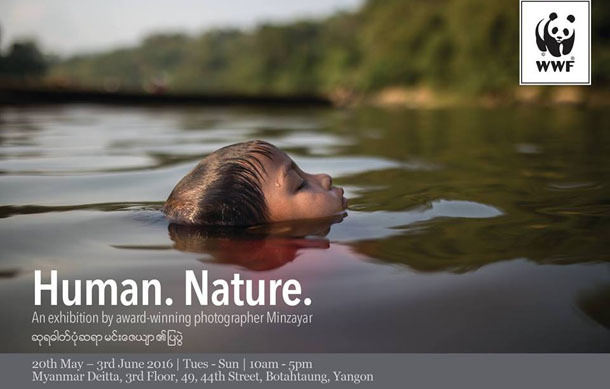 Award-winning photographer Minzayar showcases never-before-seen work, including aerial photographs of Burma’s Tenasserim region. There will be a total of 12 not-for-sale photos. Where: Myanmar Deitta, 3rd floor, No.49, 44th St, Botataung Tsp. The boat party will bring together three DJs playing house music, gypsy, hip-hop and electronic beats. Arrive anytime after 4:30 p.m. The boat leaves at 5:30, returns at 8:15 and costs 15,000 kyats per person. 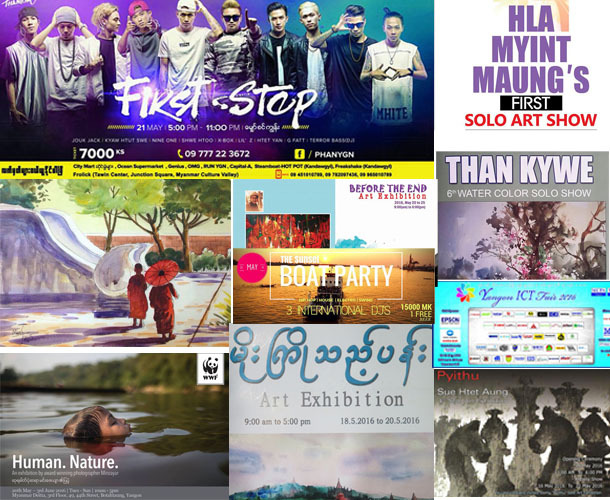 Hip-hop artists Jouk Jack, Kyaw Htut Swe, Nine One, Shwe Htoo, X-Box, Lil’s Z, Htet Yan, G Fatt and DJ Terror Bass perform at Kandawgyi. Tickets are 7,000 kyats and are available at a number of places including City Mart and Ocean Supercenter.